Different people have different mindsets and hence difference views. With these different people come with different opinions and hence encourages “Hearsays” on anything or any topic! You will come across many well-meaning people developing a sudden tendency to show off their presumed knowledgeability, usually by flooding the discussion with lots of facts and stats about ACs and its optimal settings. These discussions at the end confuse instead of guiding us! Therefore, it is important to know & understand the common air conditioning facts myths before you go for it! Also Read: Get Rid of Common Air Conditioner Problems this Summer! It is better to know the facts regarding air conditioning system you are using one. 01. Using Air Conditioner can Cause Cold! Reality: If you turn the temperature too low, it can give a cool air. Such temperature can cause vulnerability to illness but not cold. The common cold is due to a virus. We recommend maintaining hygiene and often wash your hands to keep the cold away. 02. Air Conditioner is a Machine that only Aaims to Cool a Room! Reality: Air conditioners are not Air coolers. As the name suggests, it aims to condition the air around us. It is meant to dehumidify the air and create a comfort zone for us. Although the air may get cool, the major comfort we get is due to dehumidification process. So, air coolers work better in dry climate and ACs in hot and humid regions. 03. Bigger Air Conditioners: Better Cooling! Reality: An oversized Air conditioner is an overkill resulting in an AC which will cut off and on in short cycles. Such AC units consume more power and suffer from wear and tear of the compressor. Also, such system pulls more humidity causing sticky and clammy situations! 04. AC Cooling Properly, Hence no Maintenance Required! 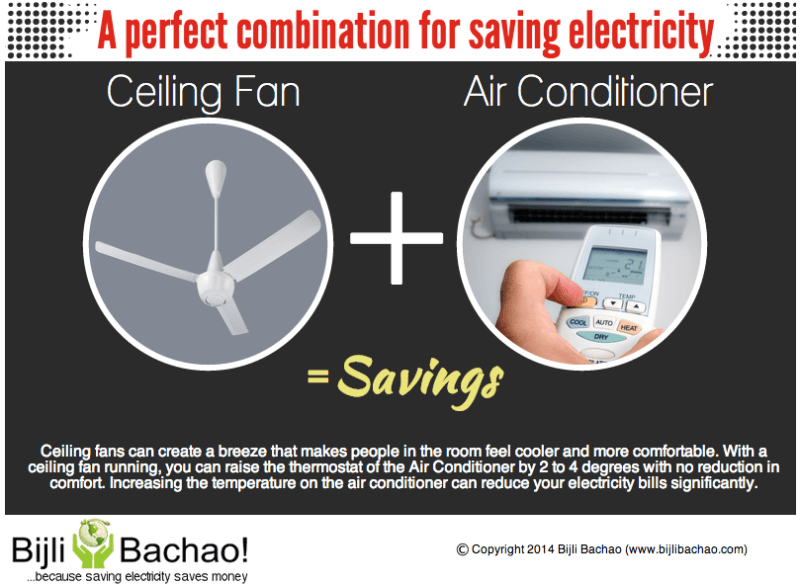 Reality: Servicing the AC once a month will help the AC to work efficiently. Any proper working AC unit can cause an unexpected breakdown due to technical issues. So, it is better to have regular maintenance checks, especially when AC is in non-usable condition. Also Read: Get the Most Out of the Tips to Maintain AC for Hygienic Air! 05. There is no need for Servicing the AC in the Winter Season! Reality: Over the time the lubricants or refrigerants of AC unit will deteriorate in the unit. The drainpipes and copper coils can also get jammed when the AC is not in use. However, in Indian climate where the AC filters choke up more frequently due to dust, it is better to hire an annual service contract. 06. Lower Down the Temperature will Cool the Room Faster! Reality: Our AC controls the temperature by rotating motor at a single speed. It will take the same time to drop down a unit temperature by exchanging cool air by hot air. So no matter the temperature settings, it will take the same time to achieve the thermostat temperature. In fact, setting the temperature too low is wasting of energy. 07. There is no Need of Fan if we Have AC! Reality: A ceiling fan helps to circulate cool air from the AC. Turn the fan on when the AC is on. It will distress your AC and lower down the temperature by 1-2 units. It always work better! 08. Leaving the Air conditioner ON at low temperature to get a pre-cooled room, when you are back home will save power! Reality: You will get a pre-cool room by doing so! But it will not save power as the compressor is working continuously to maintain the temperature. Instead, leave the room insulated to prevent the cool air from escaping. Close the windows to avoid humidity entering the room. We would suggest installing a programmable thermostat to control the temperature of the air conditioning system during different hours of the day. 09. Leaving the ceiling fan ON can keep your room cool when nobody’s using the room! Reality: A ceiling fan circulates air and make you feel cool in a room, but cannot lower down the temperature of the room. We recommend turning off the fans before leaving the room to save energy. However, you can save energy by switching the ceiling fan ON and setting the thermostat of your conditioner to a higher temperature. 10. Use Air Conditioners Only for the Summer! Reality: There are ACs with hot, cold and monsoon mode which provides conditioned air according to the season. Like the monsoon mode, the AC unit serves the purpose of removing excess humidity from the room. Nowadays there are ACs that can double up as a heater and are suitable for using in cold climates too. Now, when you know the above air conditioning facts myths, please spread the knowledge. Choose the correct energy efficient choices for your home! Next PostNext Ideas to Modernize Your Kitchen!